Chitungwiza based rising dancehall artist Ninja Warrior who has been labelled Winky D’s copycat says he got his inspiration from the latter. 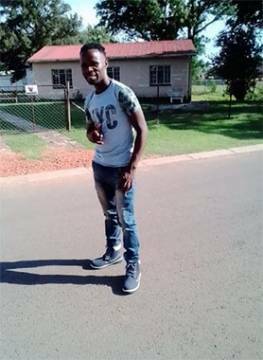 Born Milton Chataika, the 21 year-old sings like Winky D and says he is satisfied and believes he will rise to greater heights. “I sing like Winky D and he is my source of inspiration. “When people listen to my music they mistaken it to Winky’s but ndomusimbisa mdara Winky. Ninja Warrior said his fans are accepting the music. “My fans are even accepting my music, and I am working on collaborations with Major King and Ghananian artist named WC Haji. “I wish to do a collabo with Winky D one day, my single collection Juve Zvinhu is doing well. “Some of the songs include, ChiJuve Chacho, Girlfriend, Ma1 Atanga,” he said. “Starting something is not easy to an extent I was contemplating to quit but we have learnt that giving up is not an option. “Ninja Warrior has talent, we started to work together in 2017 and we will do our best this year, we won’t disappoint. “We are bringing out another controversial song called Anyumwa bere nderake.